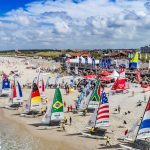 The victory of the Hobie World Cat 2017 at the Brandenburg beach in Westerland on Sylt goes to Australia. 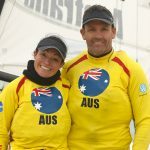 The team Cam Owen / Susan Ghent sailed impressivly in all conditions, won half of the races and the victory was celebrated on Sunday at the price giving in a full tent of visitors and their competitors. 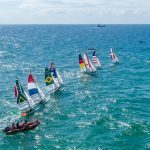 In the second place, the reigning world champion of Hobie 16 Daniel Bjørnholt-Christensen with his brother Nicolaj landed in front of Ingo Delius / Sabine Delius-Wenig from Germany. Only the better individual results of the young Danes gave the effect of silver and bronze. 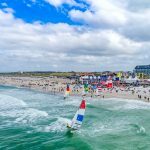 At the end of the Hobie World Cat, the weather at the Brandenburg beach in Westerland on Sylt once again gave everything. 15 knots from West Northwest, coming tide and a wonderful light are now in the best memories. 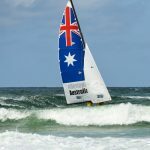 Even before the last day it was clear that it would be very difficult to beat the leading and very confident Australians, but the organizers wanted to sail some more race on Sunday. 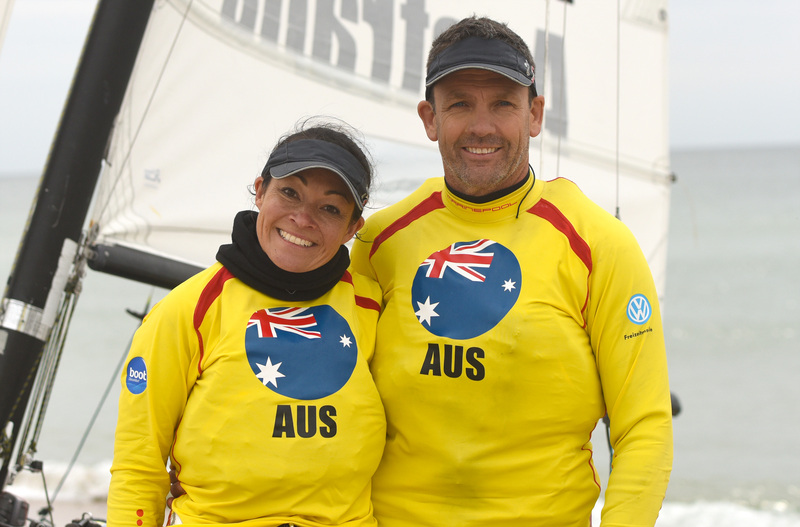 “There can be quite a lot happening, as we saw yesterday with the South Africans,” said Willy Trautmann of Prosail. 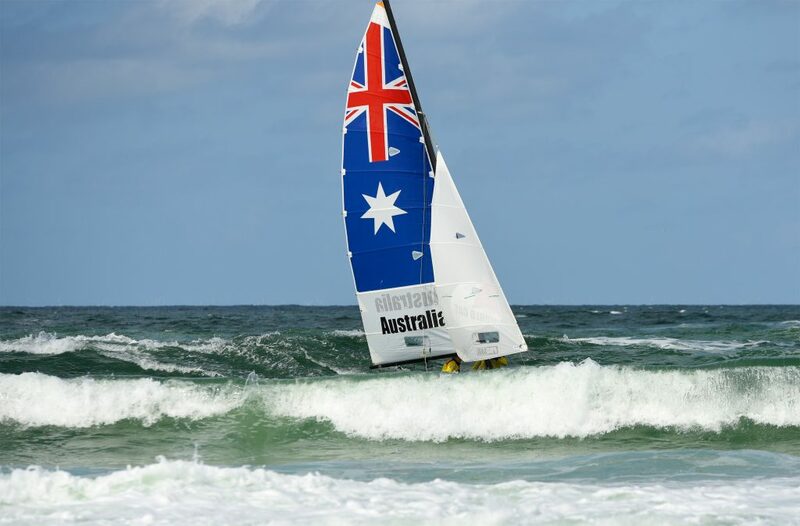 “The team had torn off the rowing system in the surf.” But the Australians did not let anything burn down and won the first two races on Sunday. 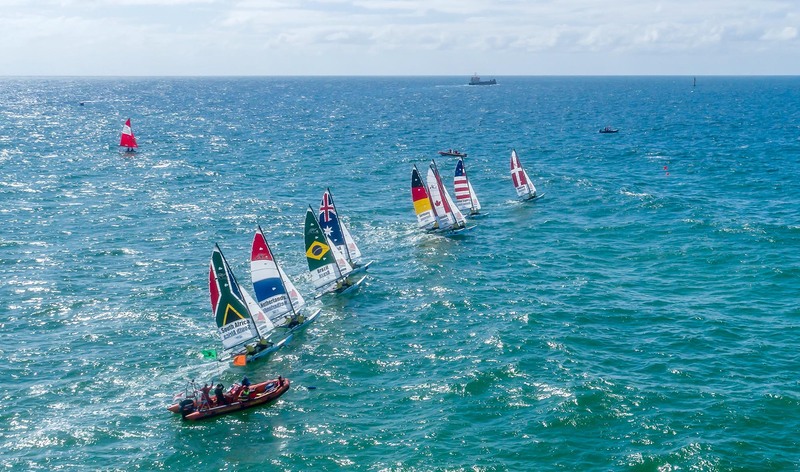 In the third and last race, they then settled down in the high waves and passed the victory of the last race to South Africa. 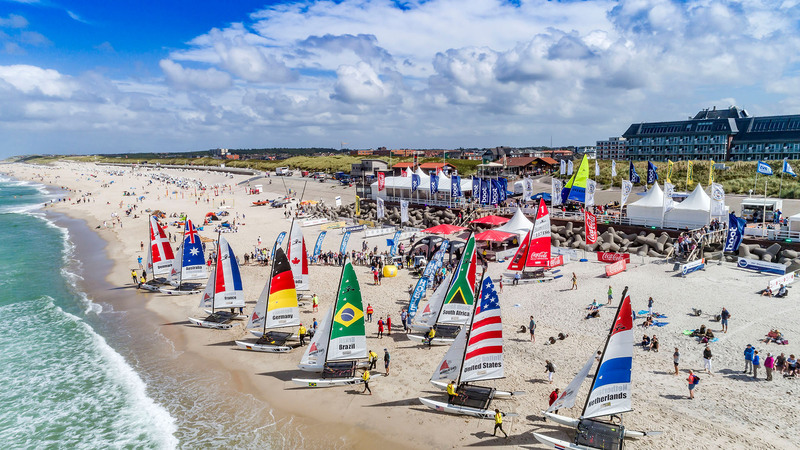 Since Tuesday last week 9 teams from 9 nations sailed in Westerland. The weather changed daily, and all the teams were required to give their best. 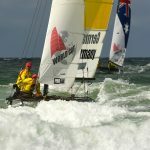 Waves, a lot of wind and a drift of up to 6 knots, which was unusual, made the tactics highly demanding. The Beachfinish was completly new for the teams, the finish is onshore and not on the water. 15 races were at the end in the lists and a clear 10 points lead for Australia. 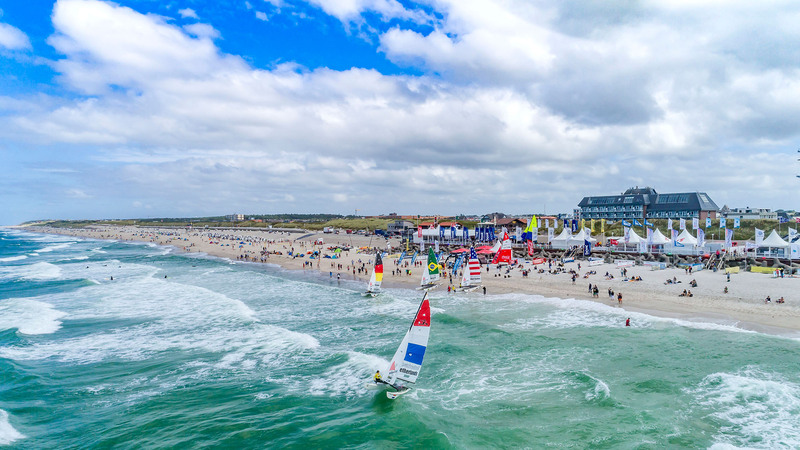 The continuation of last year’s world premier of a 320-meter-long Speedrace, parallel to the beach in the shortest distance to the visitors, needs certain conditions. A high water level, at least 16 knots of wind, which must then also come from the right direction and these conditions were on Saturday afternoon. The tons were quickly laid out, measured, and off we went. 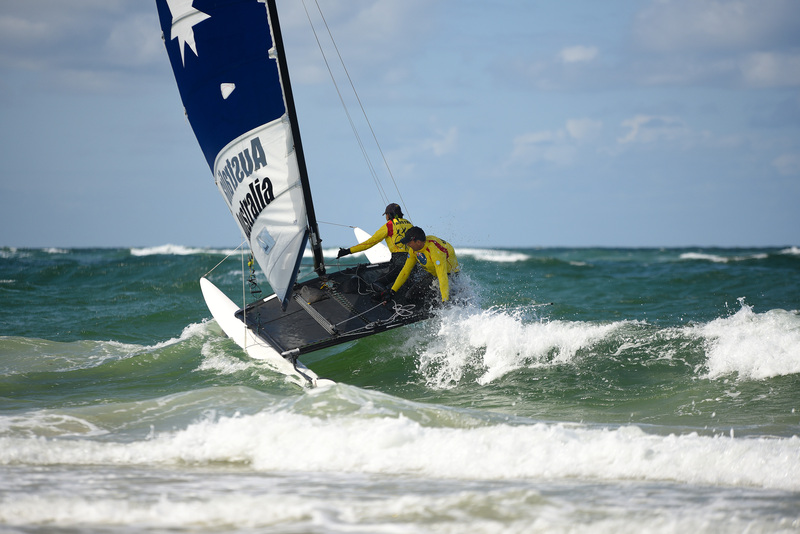 As with the premiere, Daniel and Nicolaj Bjørnholt-Christensen won with a new record of an incredible 35.49 seconds, an average speed of 38.55 km / h (20.81 knots). “Whoever wants to win here must not be a milquetoast. 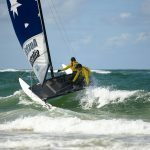 From the first to the last meter everything must be called, “says Detlef Mohr, organizer and even 12-time European champion of Hobie 16. 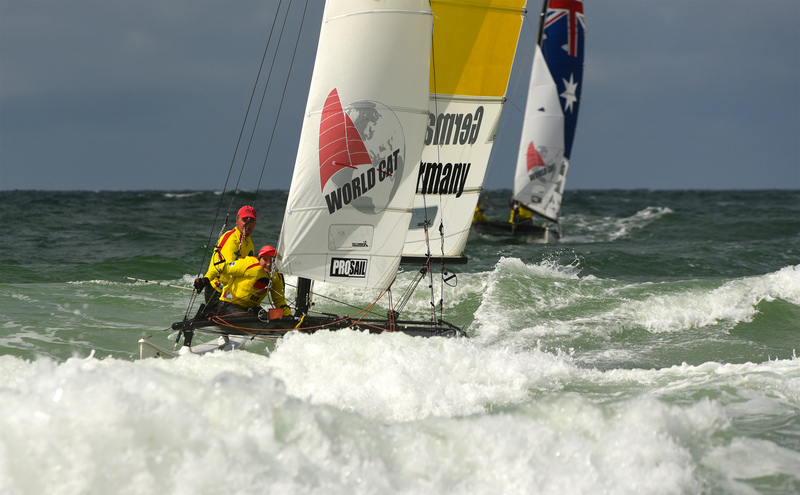 Overall the Sylt Sailing Week with the final Hobie World Cat was a complete success. Sailors and visitors attested to the makers a sensational event before Westerland. The 21st edition will take place from the 3rd to the 12th August 2018.